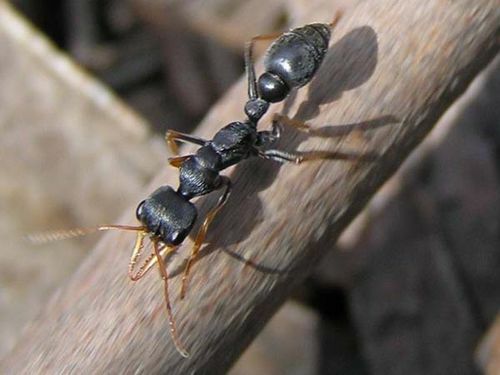 Stinging Ants include jack jumper ants and bull ants. 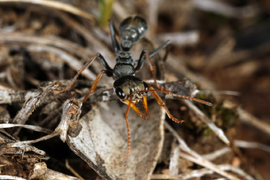 Jack jumpers are found across the southern half of Australia and related species occur across the north. Avoid these critters as being stung from these little brutes really packs a punch for their size. They are very aggressive and become agitated when disturbed. They will give you a painful fiery sting which will hurt for a long time. If you are stung to relieve the swelling and pain a cold compress should be applied and also gently wash the area with soap and water but leave the blister intact. People who are allergic to insect stings should seek medical attention immediately. 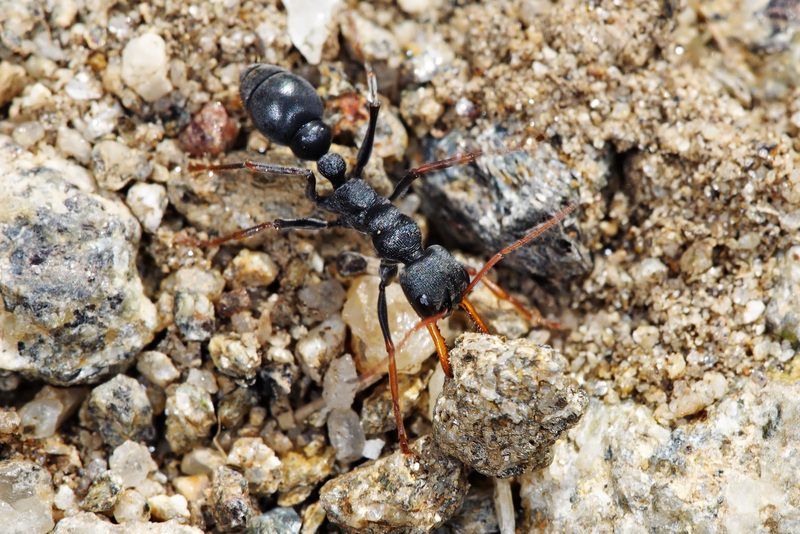 On rare occasions, these ant stings can cause a severe allergic reaction. If you see a nest, use baits which have a borax/sugar mixture (or use a commercial product containing borax decahydrate) and place it near the nest. Try a granulated insecticide product registered for use in the home garden. Natural enemies of these ants - echidnas and birds.